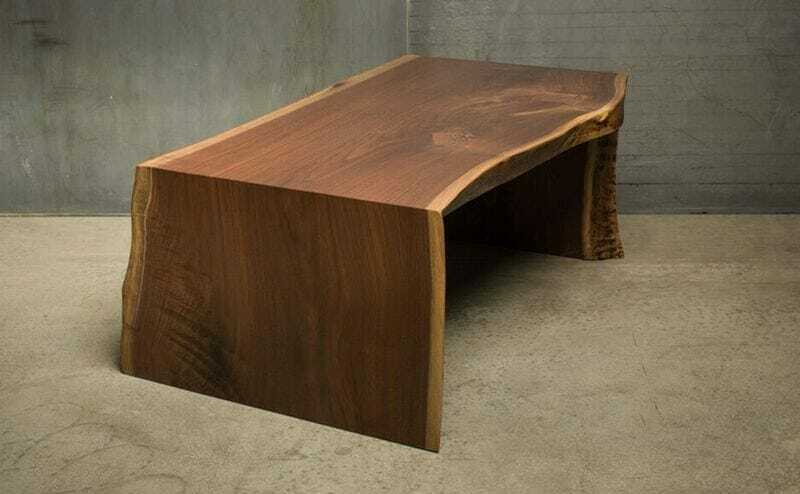 Our live edge waterfall table gives the appearance of an almost seamless surface. 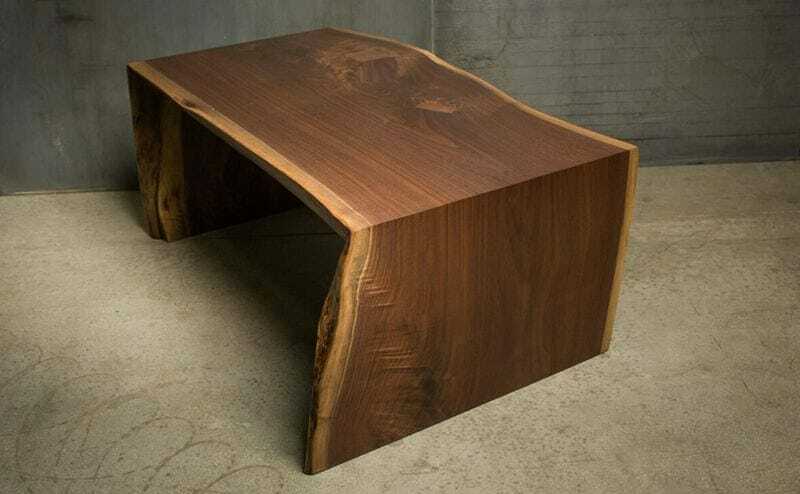 Crafted from black walnut, its crisp corners play against the gently curving live edge. 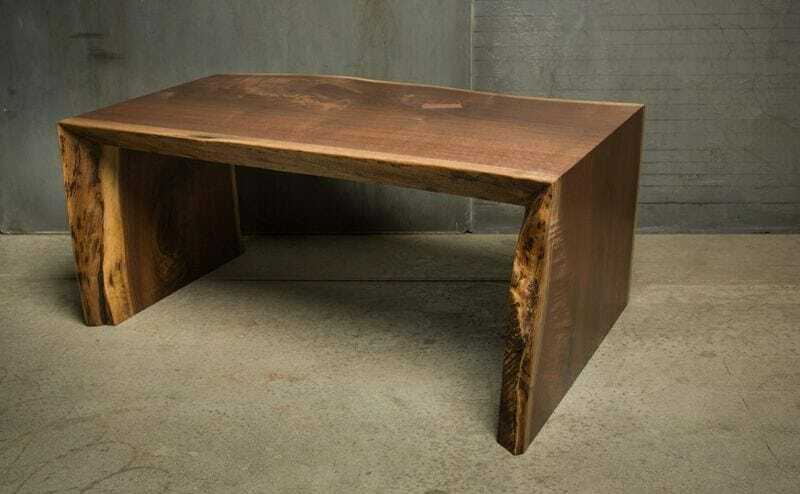 See more of our live edge table here.